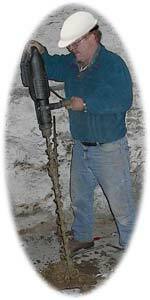 Environmental Site Assessments - Subsurface Remediation Technologies, Inc. The extent of financial and legal liabilities associated with ownership of a contaminated property has become evident in the last few years. The U.S. Environmental Protection Agency and state regulatory agencies have consistently held the position that if a responsible party can be identified, then government funds should not be spent for cleanup. A responsible party can be any current or previous owner of a property who may or may not have been involved in the cause of the problem. Certainly, lending institutions holding mortgages on problem properties have found themselves defined as "responsible parties". The courts have held owners responsible for site remediation even if the owners are unaware of disposal activities on their property. State and federal law specifically allows a priority lien to be attached to the property to recover funds that agencies expend on a problem site. In response, lending institutions and property owners have sought to reduce their risk by contracting for an environmental site assessment prior to lending funds for purchase or refinancing of commercial or industrial property. SRT personnel have performed numerous site assessments in accordance with regulatory agency and private institution (i.e., title company, bank, legal firm) requirements. Our staff has had experience evaluating a wide range of facilities. This experience allows SRT to make sound judgements regarding the appropriate level of investigation for a specific type of site.